Reference: James U. McNeal, Children as Consumers: Insights and Implications, Massachusetts, Lexington Books, 1987, pp. 76-77. It is unethical to advertise children if they were able to distinguish the advertisements from the programming, to understand the purpose of advertisements and to be able to critically evaluate the content of advertisements and the claims they make. However, many studies show that children younger than nine years old generally cannot differentiate between television commercials and programs. Even though they can recognise that advertisements are different from programs, for example much shorter, they nevertheless think that advertisements are there to entertain them the same way the programs are. Reference: ‘Childhood Obesity - Food Advertising in Context’, UK Office of Communications, 22 July 2004 , p. 16. Reference: Dan S. Acuff, What Kids Buy and Why: The Psychology of Marketing to Kids, New York, The Free Press, 1997, p. 182. 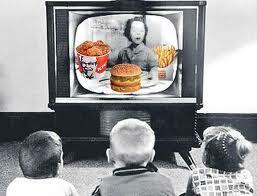 Between ages 2 and 5 most children cannot even differentiate what happens on television from reality. They are very interested in commercials, which they believe without reservation. Marketing consultant, Dan Acuff, notes that from age 3 through 7 children tend to accept television advertising at face value and explains how advertisers can take advantage of that. For example he advises that at this age kids are particularly susceptible to give aways and like promotions because “the critical/logical/rational mind is not yet full developed”. Reference: Rhoda H. Karpatkin and Anita Holmes, ‘Making Schools Ad-Free Zones’, Educational Leadership, vol 53, no 1, 1995; Erling Bjurstrom, ‘Children and Television Advertising: A Critical Study of International Research Concerning the Effects of TV-Commercials on Children’, Swedish Consumer Agency, October 1994, p. 30. Even older children are not able to differentiate between what they see in the advertisements and reality if special effects are used. 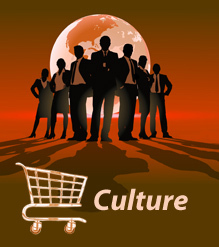 As a result they often attribute unrealistic qualities to products. For example, children viewing advertisement for model cars that also show a real car race tend to attribute qualities to the model car that are only applicable to the real car. Reference: Dale Kunkel, ‘Advertising Regulation and Child Development’, in Stephen Frith and Barbara Biggins (eds) Children and Advertising: A Fair Game?, Sydney, New College Institute for Values Research, 1994, pp. 31-2. Dale Kunkel, from the Department of Communication at the University of California, did experiments with children in which they were shown television programs interspersed with advertisements and found that children up to seven years old often confused commercials with programs even when they were able to describe what a commercial was. For example, children shown the Flinstones cartoon with an advertisement using the Flinstone characters and asked to describe what happened in the program included a scene from the advertisement where the family ate a bowl of cereal. Two thirds of children aged three to five confused programs with advertisements and a third of children aged six and seven became confused when the same characters were used in both (ie host selling). Reference: Cited in Erling Bjurstrom, ‘Children and Television Advertising: A Critical Study of International Research Concerning the Effects of TV-Commercials on Children’, Swedish Consumer Agency, October 1994, p. 22. 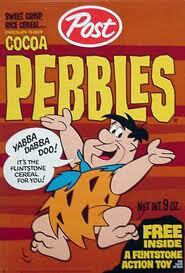 Four to seven year old children shown an advertisement for Cocoa Pebbles cereal which depicted Fred Flinstone and Barney Rubble saying the cereal “tastes chocolately enough to make you smile”. Two thirds of the children later explained that they wanted to eat Cocoa Pebbles because of their chocolate taste, three in five said that wanted to because it would make them smile and more than half said they wanted to because Fred and Barney liked them. Reference: Roy F. Fox, ‘Manipulated Kids: Teens Tell How Ads Influence Them’, Educational Leadership, vol 53, no 1, 1995; Roy F. Fox,Harvesting Minds: How TV Commercials Control Kids, Westport, (Connecticut, Praeger, 1996), p. 61. A study by Roy Fox, Associate Professor of English Education at the University of Missouri-Columbia, found that children watching athletes in television commercials thought that the athletes paid to be in the advertisements to promote themselves rather than the products. They believed children in advertisements were real rather than paid actors and they often confused advertisements with news items. Generally they did not understand the commercial intent and manipulation behind advertisements and seldom criticised the advertisements. Reference: Dan S. Acuff, What Kids Buy and Why: The Psychology of Marketing to Kids, New York, The Free Press, 1997, p. 183. Reference: Dan S. Acuff, What Kids Buy and Why: The Psychology of Marketing to Kids, New York, The Free Press, 1997, p. 98. Right or wrong, the 8-through-12-year-old is quite malleable and open to influence. He doesn’t yet have the ego strength or self-sense to “think for himself” very effectively…. The 8-through-12-year-old is also hungry to identify with and emulate “heroes,” e.g., in sports and the media. Reference: Susan Linn, Consuming Kids: The Hostile Takeover of Childhood, (New York, The New Press, 2004), p. 2. I recently sat with a group of elementary kids who all told me that commercials do not tell the truth, yet when asked, they all had strong opinions about which was the ‘best’ brand of sneaker. Their opinions were based not on their own experience but on what they’d seen on TV and in magazine ads. Advertising appeals to the emotions, not to intellect, and it affects children even more profoundly than it does adults. Reference: Cited in Dale Kunkel, ‘Advertising Regulation and Child Development’, in Stephen Frith and Barbara Biggins (eds) Children and Advertising: A Fair Game?, Sydney, New College Institute for Values Research, 1994, p. 33 and in James U. McNeal, Children as Consumers: Insights and Implications, Massachusetts, Lexington Books, 1987, p. 78. Studies commissioned by the US Surgeon General have demonstrated the failure of children under eight to understand persuasive intent. Even if they can differentiate advertisements from television programmes, (and sometimes the boundaries are blurred so that even adults don’t recognise some content as advertising – for example music videos), about half of them still don’t understand that the advertisements are trying to sell them something. Reference: Erling Bjurstrom, ‘Children and Television Advertising: A Critical Study of International Research Concerning the Effects of TV-Commercials on Children’, Swedish Consumer Agency, October 1994, p. 28. The results of studies that have attempted to distinguish between different degrees of understanding or levels of awareness, all indicate that it is only after the age of 12 that children develop a fuller understanding of the purpose of advertising. Reference: Dale Kunkel, ‘Advertising Regulation and Child Development’, in Stephen Frith and Barbara Biggins (eds) Children and Advertising: A Fair Game?, Sydney, New College Institute for Values Research, 1994, pp. 30, 35. The problem with not understanding persuasive intent is that children will therefore be much more trusting of what the advertisement is telling them than an adult who will recognise the bias that an advertisement necessarily has. Understanding persuasive intent allows children to understand that an advertisement may “exaggerate, manipulate, pontificate, and cajole” in order to get a person to buy their product. Reference: James U. McNeal, Children as Consumers: Insights and Implications, Massachusetts, Lexington Books, 1987, p. 73. The presentation of products to make them seem bigger than they are to exploit a child’s limited perceptive abilities. The use of jargon and complex language to take advantage of a child’s limited vocabulary. The excessive use of emotional triggers to exploit a child’s insecurities and gullibility. Reference: John Geraci, Dana Markow and Osa Hirsch, ‘Harris Interactive/Kid Power Poll of Youth Marketers’, Harris Interactive, 2004 , pp. 30-1. A survey by Harris Interactive found, in a survey of those who market to children, that the average marketer believes that it is not till they are 9 years old that “most young people can begin to view advertising critically” and “can separate fantasy from reality in media and advertising” and that it is not till they are almost twelve, that they “can make intelligent choices as consumers”. Nevertheless, the average youth marketer believes it is “appropriate to begin marketing to young people” at age 7. In comparison, the average academic researching children believes they are not able to view advertisements critically till they are 13. Reference: John Geraci, Dana Markow and Osa Hirsch, ‘Harris Interactive/Kid Power Poll of Youth Marketers’, Harris Interactive, 2004 , pp. 32, 48. The Harris Poll also found that 61 percent of people working in the youth industry (including advertisers, marketers, media, and market researchers) agreed that “advertising to children begins at too young an age” and 58 percent agreed that “there is too much marketing and advertising directed toward children”. Only 24% agreed that the “youth marketing industry is doing a good job at policing itself in terms of advertising appropriately to children”.